MultiOscSlave - can be synced to gate (> FM) or a MultiOscMaster (HardSync). 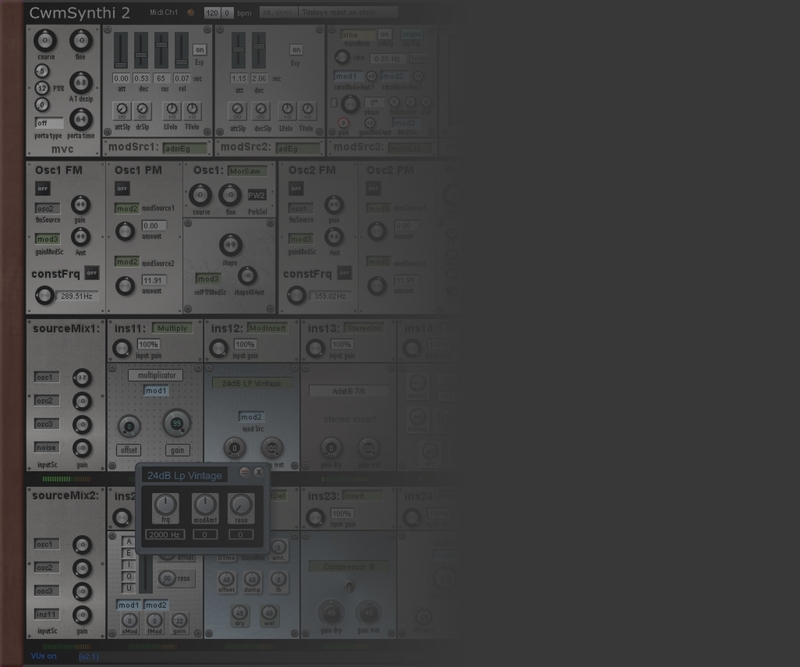 multiLfo - expanded version with polarity switch, beatSync and gain modulation. value meter to control its output (small button). randomSignalGenerator - type (sine/tri/step), polarity switch, rate modulation. value meter to control its output. 8kModDelay - max delTime 166.7ms (can be modulated); timeOffset, damp and FBamp controls. module is quite heavy on dsp.